Feb. 7, 2019 | It can strike anyone at any age. For most, the condition is only temporary, with the symptoms starting to improve after a few weeks, but in some cases it can be permanent. Bell’s palsy causes sudden, temporary weakness in a person’s facial muscles, making half of their face appear to droop. It begins suddenly and worsens over 48 hours. This condition results from damage to the facial nerve, the seventh cranial nerve. Pain and discomfort usually occur on one side of the face or head. Each facial nerve directs the muscles on one side of the face, including those that control eye blinking and closing, and facial expressions such as smiling and frowning. When Bell’s palsy occurs, the function of the facial nerve is disrupted, causing an interruption in the messages the brain sends to the facial muscles. This interruption results in facial weakness or paralysis. Bell’s palsy affects about 40,000 people each year in the U.S., affecting all races and both genders equally. Feb. 7, 2019 | Bell’s palsy is named for Sir Charles Bell, a 19th century Scottish surgeon who described the facial nerve and its connection to the condition. The disorder, which is not related to stroke, is the most common cause of facial paralysis. Generally, Bell’s palsy affects only one of the paired facial nerves and one side of the face but in rare cases, it can affect both sides. The exact cause of the disorder remains unknown but it’s often related to exposure to a viral infection. The nerve that controls your facial muscles passes through a narrow corridor of bone on its way to your face. In Bell’s palsy, that nerve becomes inflamed and swollen, usually related to a viral infection like viral meningitis or the cold sore virus herpes simplex. Besides facial muscles, the nerve affects tears, saliva, taste and a small bone in the middle of the ear. The disorder has also been associated with headaches, high blood pressure and trauma such as a skull fracture or facial injury. Feb. 7, 2019 | Bell’s palsy occurs more often in people who are pregnant, have an upper respiratory infection like the flu or a cold or have diabetes. There are no specific tests to determine if a patient has the disorder. A physical examination is necessary to rule out any other causes of facial paralysis, such as a stroke or Lyme disease. During the examination, a physician will examine the patient for upper and lower facial weakness. In most cases this weakness is limited to one side of the face or occasionally isolated to the forehead, eyelid, or mouth. Blood tests can sometimes be helpful in diagnosing other concurrent problems, such as diabetes and certain infections. An MRI or CT scan can determine if there is a structural cause for the patient’s symptoms. Recurrent attacks of Bell’s palsy are rare but in some cases, there’s a family history of recurrent attacks, suggesting that the patient may have a possible genetic predisposition to the disorder. Feb. 7, 2019 | Bell’s palsy affects each individual differently. Some cases are mild and do not require treatment as the symptoms usually subside on their own within two weeks. For others, treatment may include medications and other therapeutic options. Recent studies have shown that steroids such as prednisone, which is used to reduce inflammation and swelling, are effective. Analgesics such as aspirin, acetaminophen, or ibuprofen may relieve pain. Because of possible drug interactions, individuals taking prescription medicines should always talk to their doctors before taking any over-the-counter drugs. Another important factor in treatment is eye protection. Bell’s palsy can interrupt the eyelid’s natural blinking ability, leaving the eye exposed to irritation and drying. Therefore, keeping the eye moist and protecting the eye from debris and injury, especially at night, is important. Lubricating eye drops, such as artificial tears, and eye patches are also effective. Feb. 7, 2019 | Bell’s palsy usually resolves in time and causes no long-term complications. It is important, however, to take medications as directed. It is also crucial that you protect the affected eye from drying. 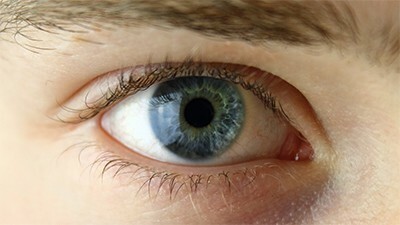 Use of eye drops during the day and ointment at bedtime can protect the cornea from scratching. Other therapies such as physical therapy, facial massage or acupuncture may provide a potential small improvement in facial nerve function and pain. Improvement is gradual and recovery times can vary. With or without treatment, most individuals begin to get better within two weeks after the initial onset of symptoms and most recover completely, returning to normal function within three to six months. For some, however, the symptoms may last longer or may never completely disappear. Be sure to see your physician if you experience facial weakness or drooping to determine the underlying cause and severity of the illness.